Since 1985 S & M Farms Inc. of Fitchburg, MA has been offering expert erosion control to a clientele that now numbers more than 1200. Our primary area of service involves the installation of silt fence, hay bales, safety fence and any other means of erosion control needed on a particular site. Our customers include construction contractors, (state and private) , home owners and also the actual public works department of the towns we work in. Soini Erosion Control Inc. is our sister union company that offers the same expert service as S & M Farms. William Soini, owner of S & M Farms, started the business in 1987 with a pick-up truck and a pick-axe. Now S & M Farms has a work force of about 50 people and 35 trucks. Shawn, Mr. Soini’s son, graduated from the University of Massachusetts, Lowell in 1996 with a degree in civil engineering and today is a strong part of the business, ensuring all work performance and scheduling is done correctly and efficiently. Our work is done with our customers in mind to keep them satisfied and meeting certain specifications on specific job sites. Once our erosion control service was under way, it didn’t take S & M Farms long to establish a reputation of good service. This reputation helped spur our company’s growth. The personnel here are professional and our turnover is very low. We invest a lot of time and effort into each one of our employees. 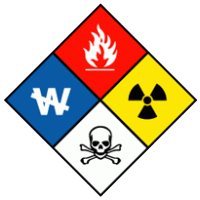 Our employees are OSHA and HAZMAT 40 trained to meet the demands for today’s jobsite requirements. We will perform jobs of different sizes from a couple of hours to a job that last a couple of years. We believe that our company’s response time is what separates us from the competition. It’s all based on how fast the customer needs to get it done so the project can move forward. We can build any type of erosion control system that is specified. We are the originators of the built-on-site steel reinforced silt fence. The silt fence is backed by 12-guage by 14-gauge wire supported by large wood posts and fastened to those posts by three metal stress plates. The fence offers clients a long lasting, maintenance free erosion control barrier. We also install safety fence, straw wattles, snow fence, silt sacs in catch basins, and many other erosion control devices. We continue to increase our expectations regarding good service, quality work and a guarantee on the work performance. We stand behind our work and will address any problem on a project we work on. We support our customers 100 percent, and if there’s any issue, we are there within hours. We will address any problems on a site, because we stand behind our customers..